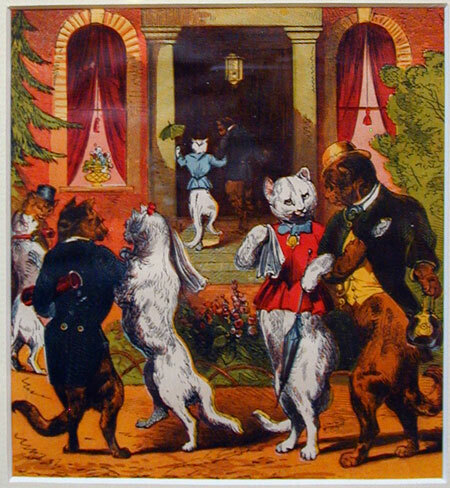 Two wonderful framed caricatures of cats from an illustrated children’s book circa 1890-1900. 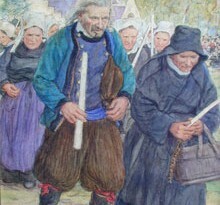 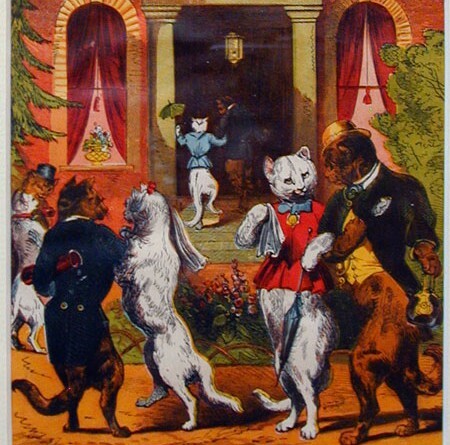 The first shows elegantly dressed cats on their way to a ball. 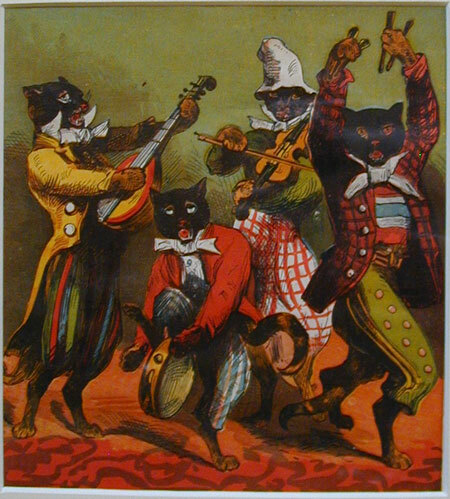 The second, a jazz band made up of cats.